This was a fun project. We installed The Desert Crete Decking System at this Buddhist Medical Center in Wilmington Ca. This two week project that turned out spectacular. This newly constructed building medical center was built to last. 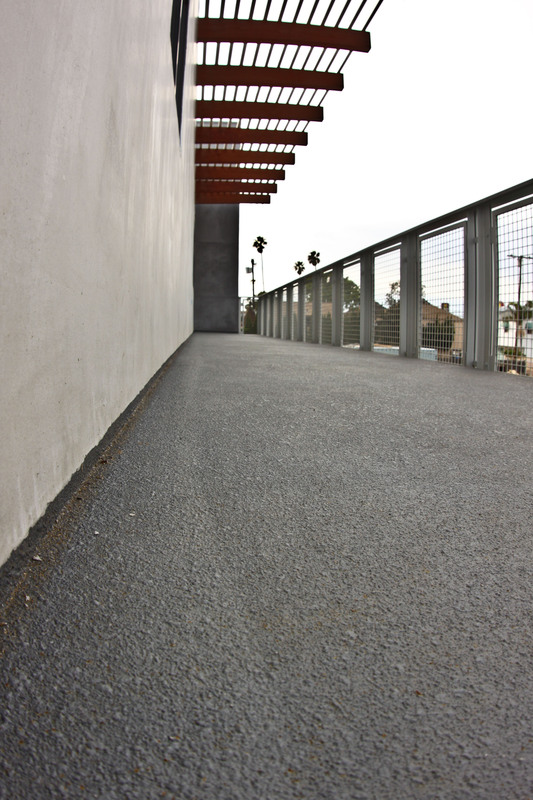 Prestige Deck Coating serves the entire Los Angeles area. This waterproofing membrane was a multi-layer waterproof decking Los Angeles CA designed to be installed over plywood substrate. This deck wrapped around the entire building. 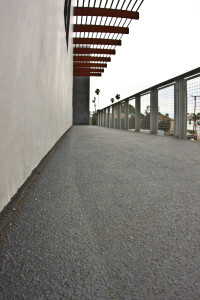 Prestige Deck Coating is the premiere waterproofing contractor and deck coating company in Los Angeles. Contact Prestige Deck Coating Inc. for all you waterproof decking Los Angeles CA. Level 5. Prestige waterproof decking Los Angeles CA finish texture coat is carefully applied consistently on your deck using an air pressurized hopper gun, making an even anti-slip grip on your exterior flooring. Level 6. We also apply two coats of our waterproof paint sealer to shield your deck from UV rays and harsh rains, staying strong in even the most intense foot traffic areas. LA decks out in the open sunlight can be damaged faster than a deck employing a less rigorous deck waterproofing system. If you are unsure if your deck needs new deck waterproofing, look no further. We provide free estimates and our estimator is always glad to stop by and take a look at your deck. Prestige Waterproof Decking Los Angeles Ca will get your decking job done right the first time.